Monday 1 April – LENT TALK AND DISCUSSION: CHRISTIANITY AND GENDER – led by Rev Cathy at All Saints Church. All welcome! Saturday 6 April – CHURCH CLEANING – 9.30am at St John’s Church – do come and help makes our church look beautiful for Holy Week and Easter. Refreshments provided. All Welcome! Saturday 13 April – EASTER TRAIL AND MESSY CHURCH – from 2pm until 5pm at St John’s, in conjunction with Sidcup Partners. All Welcome – especially suitable for children with their families! Sunday 14 April – PALM SUNDAY – Special Services at 10am at St John’s and at 10am All Saints. Come and receive your palm cross. All welcome! 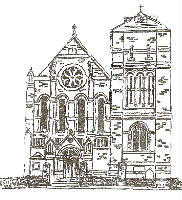 Sunday 14 April – ANNUAL CHURCH MEETING (APCM) – after the 10am service at St John’s. Monday 15 April – COMPLINE – a service of Night Prayer at 7.30pm at ST John’s. All welcome! Tuesday 16 April – COMPLINE – a service of Night Prayer at 7.30pm at All Saints. All welcome! Wednesday 17 April – STATIONS OF THE CROSS – at 7.30pm at St John’s. A contemplative service where we follow Jesus from the betrayal to the crucifixion. All welcome! Thursday 18 April – MAUNDY THURSDAY MASS and WATCH – at 8pm at St John’s and at 8pm at All Saints. We recall the Last Supper: Jesus’ last meal with his disciples. Followed by silent prayer remembering Jesus in the garden waiting for his betrayal. All welcome! Friday 19 April – GOOD FRIDAY WALK OF WITNESS WITH CHURCHES IN SIDCUP – meet at St John’s at 9.30am. All Welcome! Friday 19 April – THE LAST HOUR – at St John’s at 2pm. A contemplative service of music and readings for the last hour, leading up to Jesus’ death on the cross at 3pm. We depart in silence. All welcome! Saturday 20 April – CHURCH CLEANING – do come and help make our church look lovely for Easter. Refreshments provided. All welcome! Sunday 21 April – EASTER SUNDAY – REJOICE WITH US! Services at 8am and at 10am at St John’s and at 10am at All Saints. The new Easter Candle is lit, the light shines in the darkness – Christ is risen and death is conquered!